Don't miss this grand evening of enchanting music! 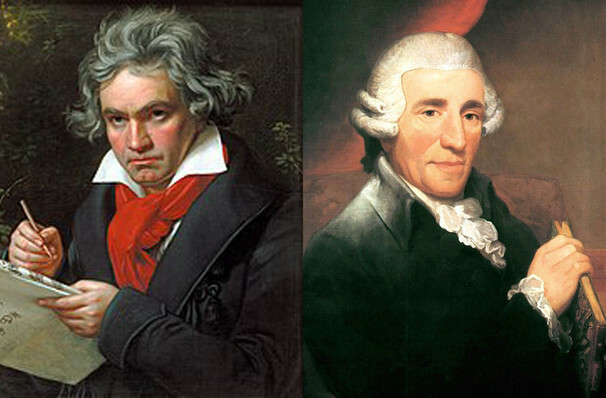 Why See Los Angeles Philharmonic - Masses by Haydn and Beethoven? A night of celestial music enchants the Walt Disney Concert Hall this May as the Los Angeles Philharmonic performs Masses by Beethoven and Haydn. Featuring both Beethoven's Mass in C and Haydn's "Lord Nelson" Mass, the LA Philharmonic perform two contrasting pieces, creating a thrilling evening of world-class music. Kicking off the evening with Beethoven's Mass in C, where the audiences will be lulled into a sense of tranquil beauty with the Mass' quiet and intricate composition. In contrast, the evening will end with Haydn's "Lord Nelson" Mass a riotous and glorious piece, which is set to bring joy to any year. Sound good to you? 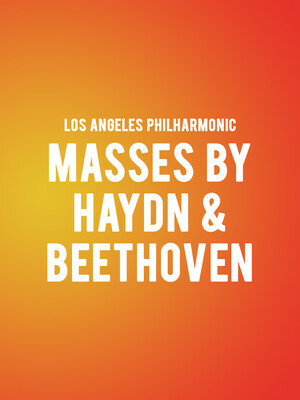 Share this page on social media and let your friends know about Los Angeles Philharmonic - Masses by Haydn and Beethoven at Walt Disney Concert Hall. Please note: The term Walt Disney Concert Hall and/or Los Angeles Philharmonic - Masses by Haydn and Beethoven as well as all associated graphics, logos, and/or other trademarks, tradenames or copyrights are the property of the Walt Disney Concert Hall and/or Los Angeles Philharmonic - Masses by Haydn and Beethoven and are used herein for factual descriptive purposes only. We are in no way associated with or authorized by the Walt Disney Concert Hall and/or Los Angeles Philharmonic - Masses by Haydn and Beethoven and neither that entity nor any of its affiliates have licensed or endorsed us to sell tickets, goods and or services in conjunction with their events.